Manifold was from a strong cow family known for production and was backed by eight generations of VG or EX dams. 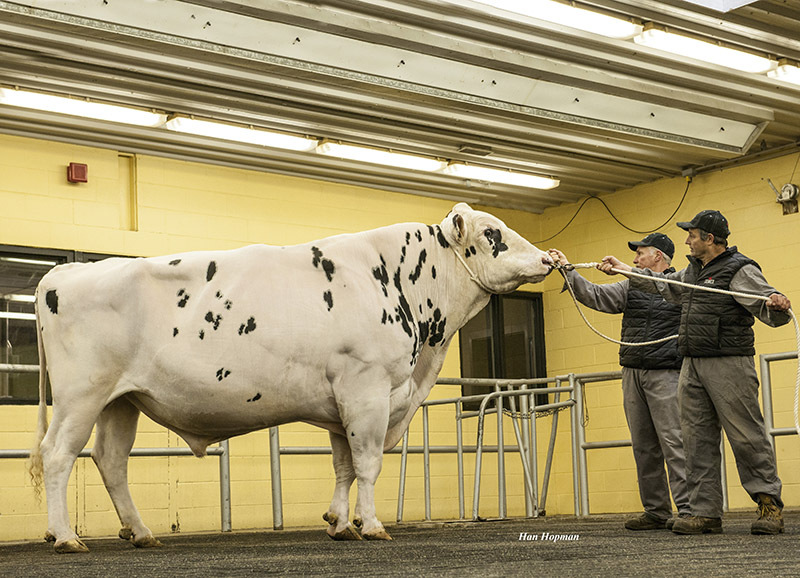 He combined this strong maternal line at Mainstream Holsteins in Washington, with type strength and desirable health and fertility traits to be one of the most predictable sires in Semex’s lineup for nearly a decade. A truly unfaltering sire, Manifold debuted as the #20 TPI sire in August 2009. As time passed, he only gained strength as he added daughters reaching the coveted Millionaire Status in April 2014 when he was also the breed’s #12 TPI and #6 LPI sire. With over 73,000 daughters in his production proof in December 2018, Manifold continued to be one of the most popular O Man sons of our time, offering solid production, great components and a breed leading 3.9% Sire Calving Ease. The Top-10 New Product Award Competition is conducted annually by the International Agri-Center®, in conjunction with World Ag Expo® (WAE). Nominations are submitted by WAE exhibitors and judged by farmers, ranchers and industry professionals. This year, Semex’s Elevate™ Female Immunity Test is one of the Top-10 winners and will be recognized at the show held February 12-14 in Tulare, California! Launched on December 4, 2012, Immunity+ was billed as an industry first – an exclusive product that would dramatically change the way dairymen developed their own breeding strategies and managed herd health. 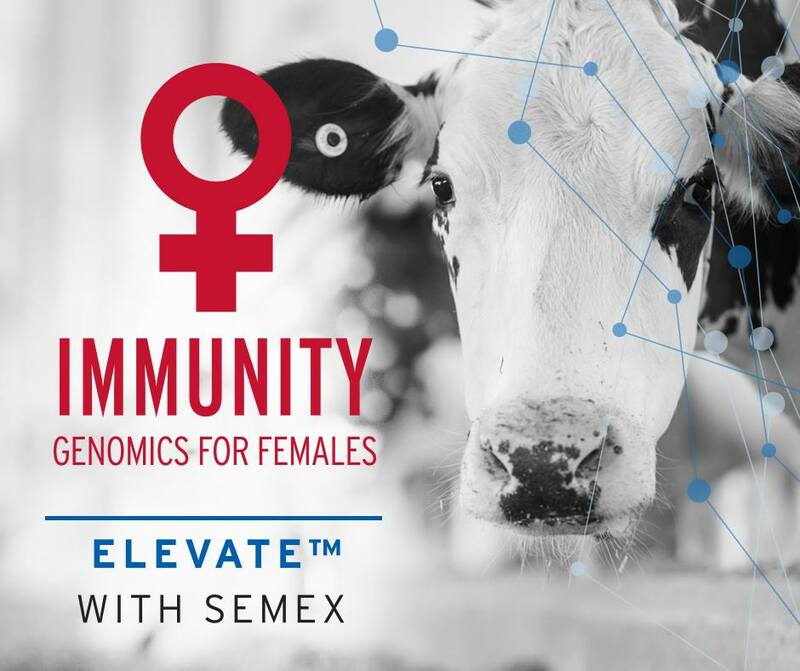 With Elevate, its female genomic testing program, Semex offers a genomic test that ranks and selects cows for both their Immunity+ genomic results and their genetic merit! With Elevate and the Immunity+ genomic test, there’s no more guess work as to which cows will better resist disease. Armed with both genomic information and Immunity+ results, producers are able to make faster genetic progress towards a stronger, more disease resistant herd, reducing losses and drug use. 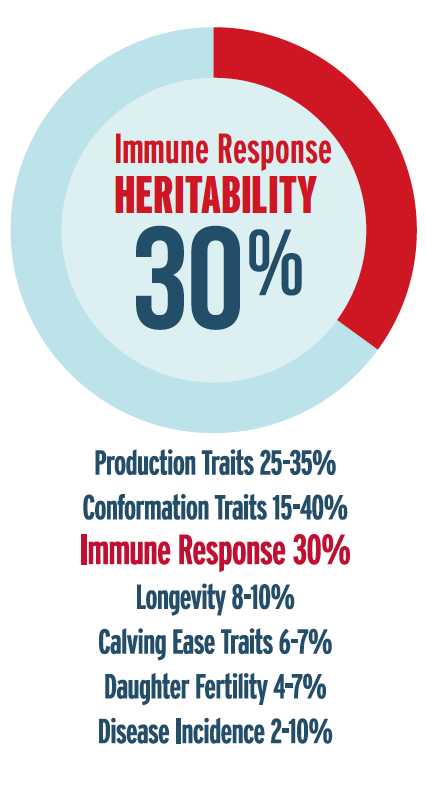 Immunity+ heritability is 30%, similar to that of milk production. 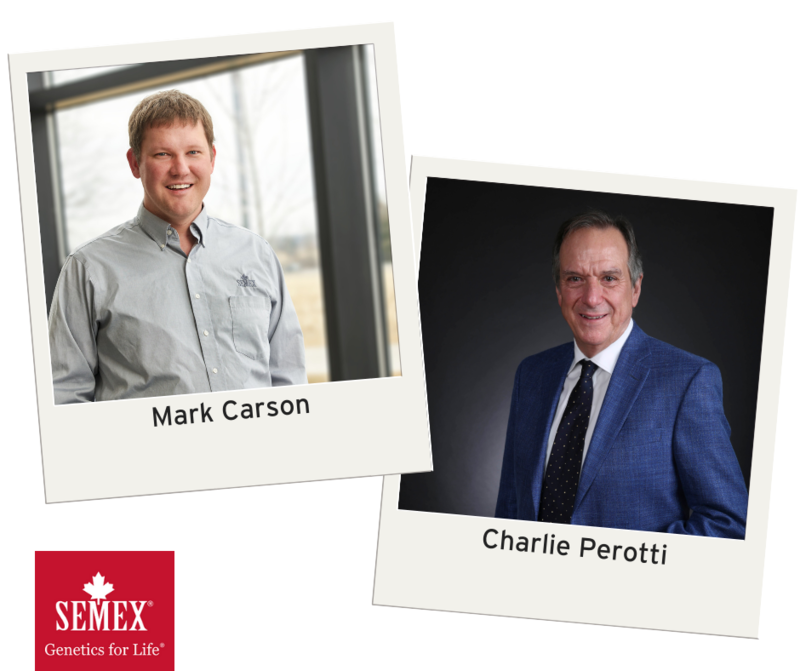 Semex is excited to be the only AI company to deliver uncompromised herd health gains that can be made by identifying both female immune response and utilizing Immunity+ sires. 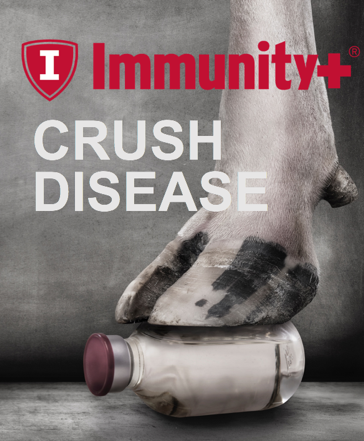 Immunity+ disease-resistant genetics now represents 37% of Semex dairy sales. What started as a research project more than 20 years ago, before Semex was established, has indeed changed the game. Semex Geneticist and Business Analyst Dr. Steven Larmer believes there are many reasons for the growth of Immunity+, but the ultimate measure of the genetic program's success is the confidence dairy producers have in its ability to improve the health of their herd. Recently, research work with the University of Guelph has put a dollar value on the return producers can expect from their Immunity+ investment. These studies show Immunity+ sired daughters show less disease, saving dairymen $72 per cow, from birth to the end of first lactation. Larmer says measuring financial payback is important but when he talks to producers it's obvious that Immunity+ has an event greater impact. "High immune response means cows get sick less often, they are more productive and more profitable. Ultimately, no farmer wants to deal with sick cows. You can spend your time on the farm doing other things that are much more productive and satisfying." Many producers point to fewer cases of mastitis and less lameness when describing Immunity+ benefits, but Larmer believes it's the total package that gives this technology an edge. "Overall, we try to not focus too much on the individual health event. The big difference with Immunity+ is we're selecting cows that are going to be resistant to any disease that comes their way," explains Larmer. "We really focus on how the whole immune system works, and making sure an animal's entire immune system is robust, and effective." 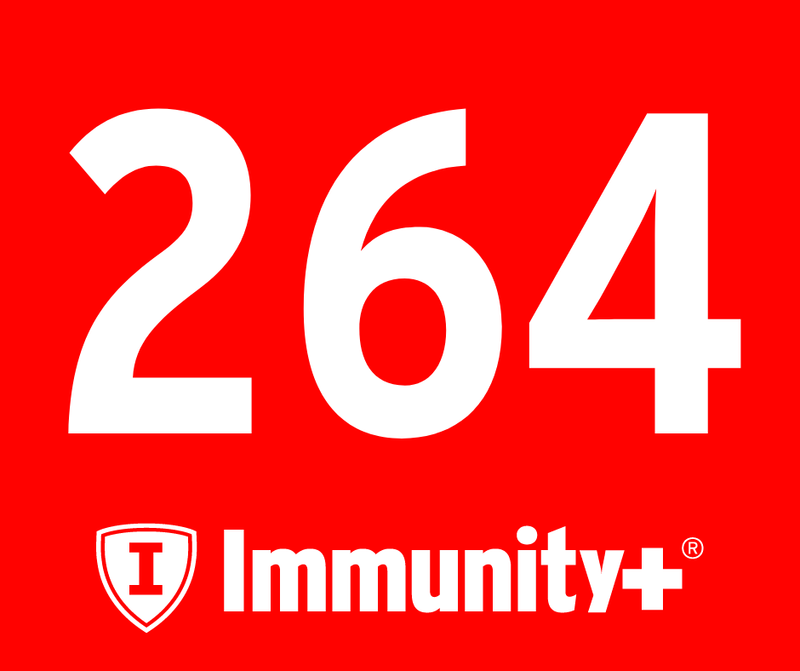 In December, Semex is proud to announce it now has 264 reasons to use Immunity+! Dr. Steven Larmer, Semex Geneticist & Business Analyst concurs, “Despite all of the improvements made with dairy animal husbandry there continues to be worse health performance. When all else is equal, the thing that's going to differ between two cows on your dairy is, 'how strong is their immune system? How able are they going to be to respond to that challenge?' Because no matter how well-managed a dairy is, every cow is going to encounter both bacterial and viral pathogens almost every day," Larmer says. Launched on December 4, 2012, Immunity+ was billed as an industry first – an exclusive product that would dramatically change the way dairymen developed their own breeding strategies and managed herd health. Six years later, dairymen worldwide are seeing the results. A study of Semex sired animals from 35 commercial dairies in 2017 showed improvements in a number of areas on about 30,000 cows and 75,000 heifers tested. The reductions were seen in eight health incidences, with the most significant being a 20% reduction in mortality and 17% reduction in persistent mastitis. The improvements in immune response would have resulted in $72,330 savings for herds milking 1,000 cows during one lactation period. "Unfortunately, we do have a significant genetic and phenotypic negative correlation between milk production and health of animals. The more stress we continue to put on animals to produce more milk, the more disease we see," Larmer adds. Larmer discussed a genetic solution that Semex has been working on with Immunity+ during the MILK Business Conference in Las Vegas. "When all else is equal, the thing that's going to differ between two cows on your dairy is, 'how strong is their immune system? How able are they going to be to respond to that challenge?' Because no matter how well managed a dairy is, every cow is going to encounter both bacterial and viral pathogens almost every day on a dairy farm," Larmer says. Genetics have helped push a large portion of milk production increases in the past few decades because it is 30% heritable. Immune response is similarly heritable at 30%, creating a massive potential to positively impact disease incidences simply through genetic selection. Immunity Female Genomics Are Here! Semex is now offering female genomic testing for all commercial traits. Along with every genomic test, clients will also receive Immune genomics estimates for every tested female. Tested females will be classified as having High, Average or Low Immune genomic status. Those animals classified as High will receive the official Semex Immunity Female designation. Female Immune Genomics have been validated in commercial herds in the United States. How are genomic values calculated? Single-step methodology (Misztal et al., 2009) is used to combine genotypes and phenotypes of thousands of animals to estimate genomic values for Anti-Body Mediated and Cell-Mediated Immune Response. Applying all animals tested for Immune Response using the University of Guelph's patented High Immune Response™ test as a reference population, genomic values for any genotyped Holstein animal can be calculated. Immune Response is highly heritable, and so genomic selection with a moderate size reference population is highly accurate. Animals that exceed 1 standard deviation above population mean are classified as High. Animals less than 1 standard deviation beow the population mean are classified as Low. 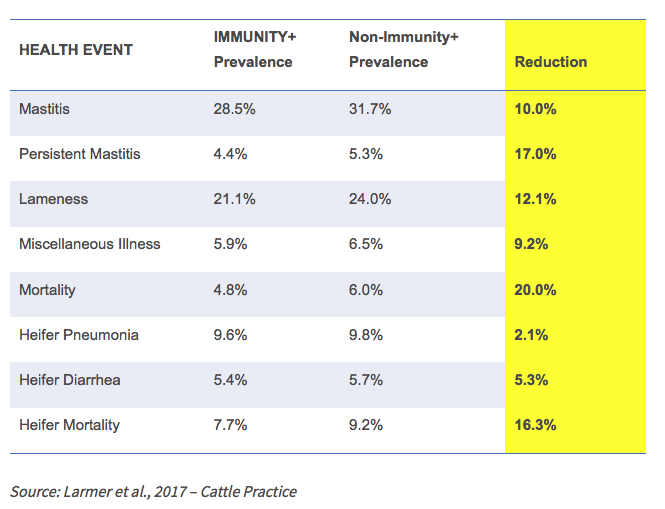 What is the impact of Immunity Female on farm?